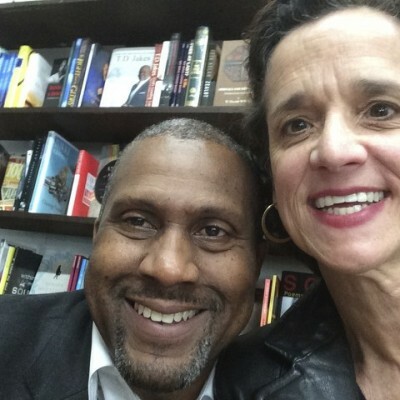 So Fun Meeting Tavis Smiley. 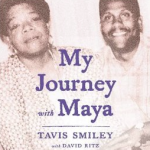 I’ve followed Mr. Smiley‘s career for years–and not just because of his last name! I had the good fortune to meet him last week. Here’s the picture. I chickened out about asking him to jump with me. Maybe next time! Sheesh, if Oprah is willing to jump, how could Mr. Smiley say NO to the Smiley Lady?! 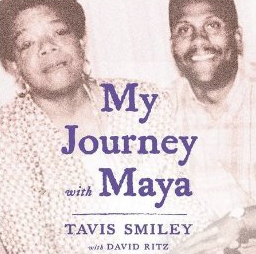 I bought his newest book, My Journey with Maya. It was a great read; I tore through it in just a couple days. I’ve already passed it onto my mom.